UNITED NATIONS, July 28. /TASS/. North Korea may conduct another nuclear test in October to mark the 70th anniversary of the Worker’s Party of Korea, North Korea’s deputy Permanent Representative at the United Nations Jang Il-hun said on Tuesday, commenting on media reports about Pyongyang’s nuclear plans. He said his country would mark the Workers’ Party jubilee on October 10 and would organize large-scale celebrations. And since the country was not bound by any international conventions, it was free to do what it wanted, he said, adding he did not rule out another nuclear test on that occasion. However, he noted he was “not in a position” to speak with certainty. 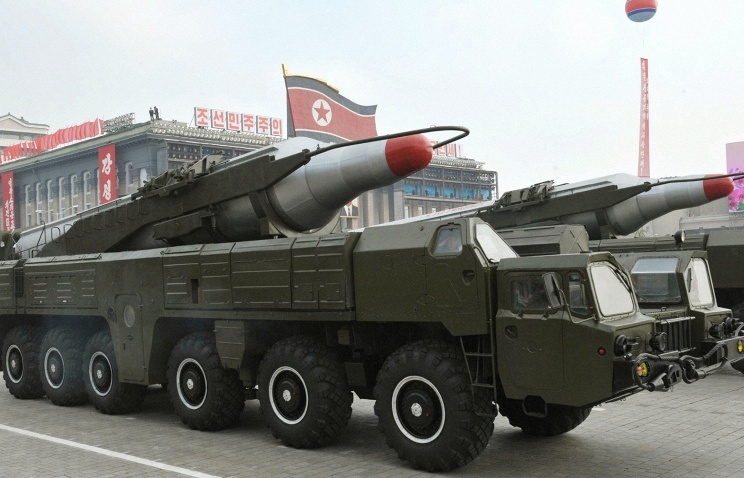 The North Korean diplomat said his country’s nuclear deterrence forces were aimed at protecting sovereignty from the “hostile policy” the United States had been pursuing against North Korea in the past 50 years. In the past several years, North Korea has conducted three nuclear tests – in 2006, in 2009 and in 2013. All the three were followed by United Nations Security Council sanctions. North Korea has conducted no nuclear tests in the past two years but performed ballistic missile launches in response to large-scale US-South Korean military drills.